While everyone was despairing about Ryu and Kershaw’s injury issues, Scott Kazmir pitched his heart out…in fact 7 innings with only one run against the Nationals on Tuesday. 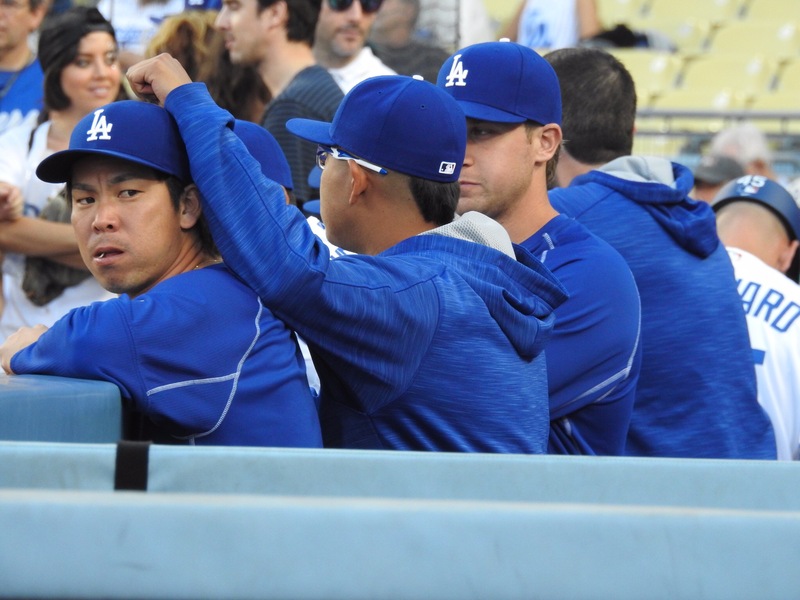 Ryu was scheduled to pitch on Thursday but his elbow flared up. 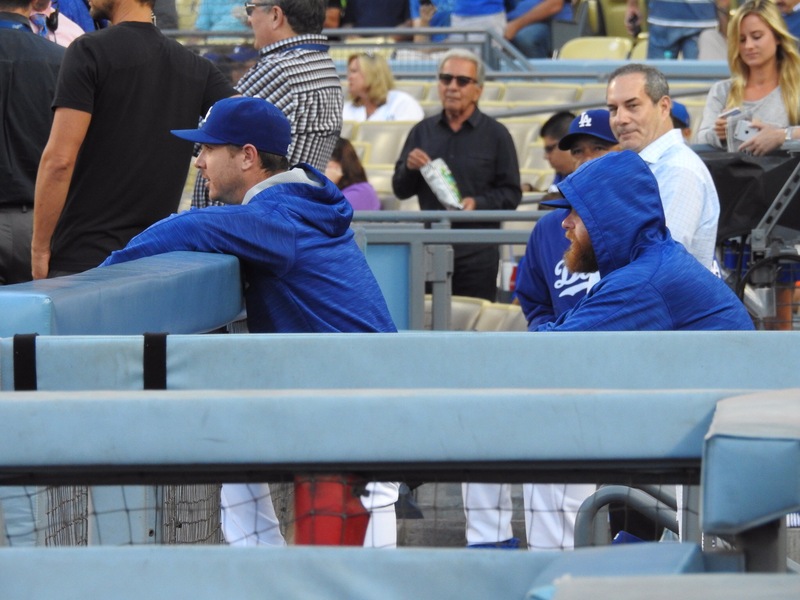 Kershaw was expected to return from DL on this road trip but his back didn’t feel quite right on Sunday. What else could go wrong. Well….Corey has a stomach virus. That’s another thing. Somehow the young ones never come back from the All Star Game the same. Andre’s timetable to return is uncertain. 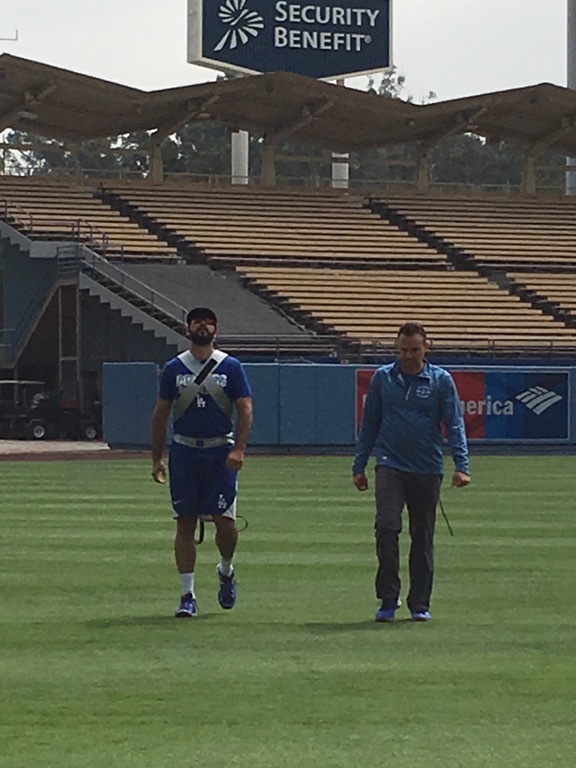 I know Kenta is happy that his buddy Julio Urias is returning. That’s a positive. The Dodgers pretty much had their way with the Nationals on Tuesday thanks to rookie pitcher Reynaldo Lopez whose major league debut was not pretty. The Dodgers figured out his fast ball right away in the first inning with Utley hitting a homerun, Howie a single and Justin a double. Joc followed with another single scoring both Howie and Justin making it 3-0 in the first inning. Lopez allowed 6 runs but struck out 9. He lasted 4 2/3 innings. 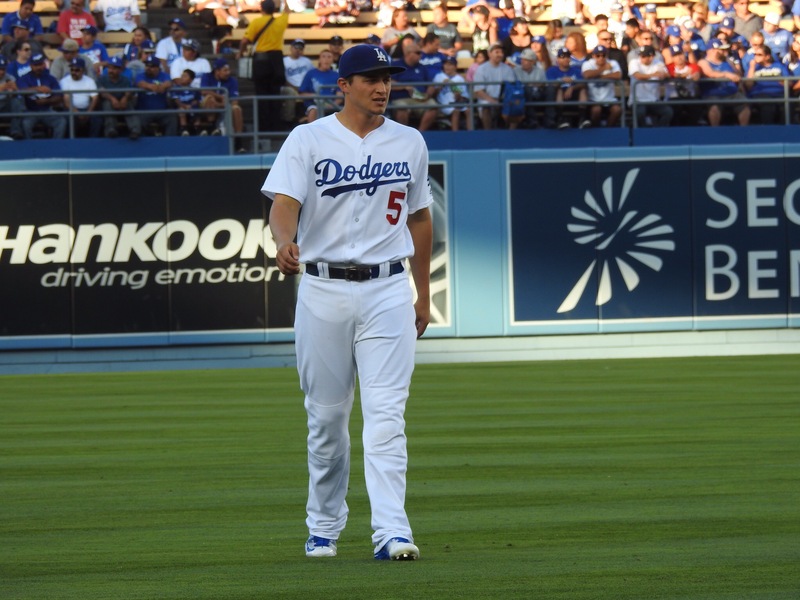 In the 5th inning Kazmir appeared to have an injury but continued on. It was the dreaded cramp that he gets. His remedy for cramps that everyone should take note is spicy mustard and pickle juice. After that Scott only allowed one homerun. He had 8 strikeouts and no walks. It was a great outing for him. 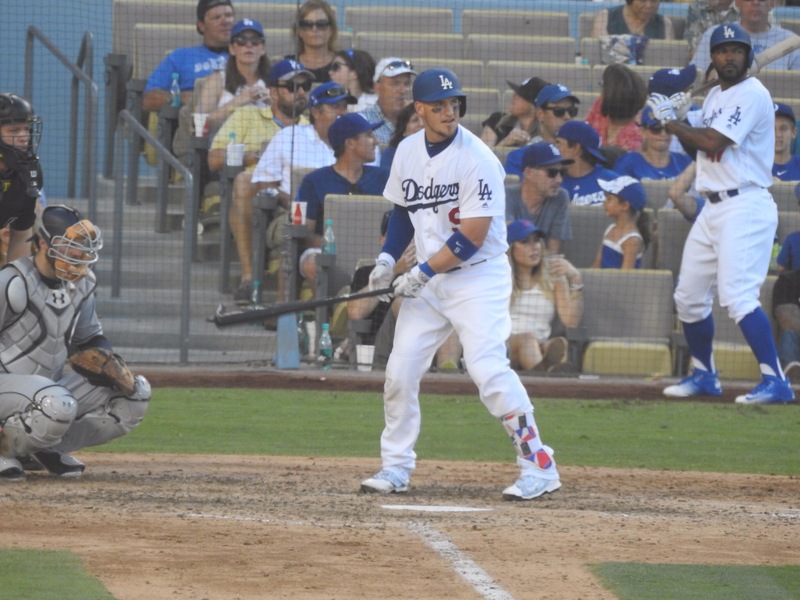 The Dodgers went on to beat the Nationals with a score of 8-4. There was a scary moment in the 8th when Chris Hatcher was pitching in relief. He allowed a walk to Lobaton, a single to Heisey, a wild pitch and then a triple to Trea Turner scoring Lobaton and Heisey making the score 7-3. Adam Liberatore replaced Hatcher but allowed a double to Daniel Murphy which scored Trea Turner. Hatcher was credited with the Turner run. 7-4. Yasmani hit a homerun in the 9th inning making the final score 8-4 with Kenley closing out the game. Wednesday Gio Gonzalez 5-8 ERA 4.70 will face our Bud Norris 5-7 ERA 4.17. My son will be at the game at Nationals Park as will my good friend JoAnna who is visiting the area. Hopefully the weather will hold out. After the game on Tuesday, it was hailing. Ryu was scheduled to start but is back on DL with a sore elbow. Who knows if he will be back before the season is over. Thursday should be an exciting game with Julio Urias meeting Stephen Strasburg. Strasburg is undefeated 13-0. 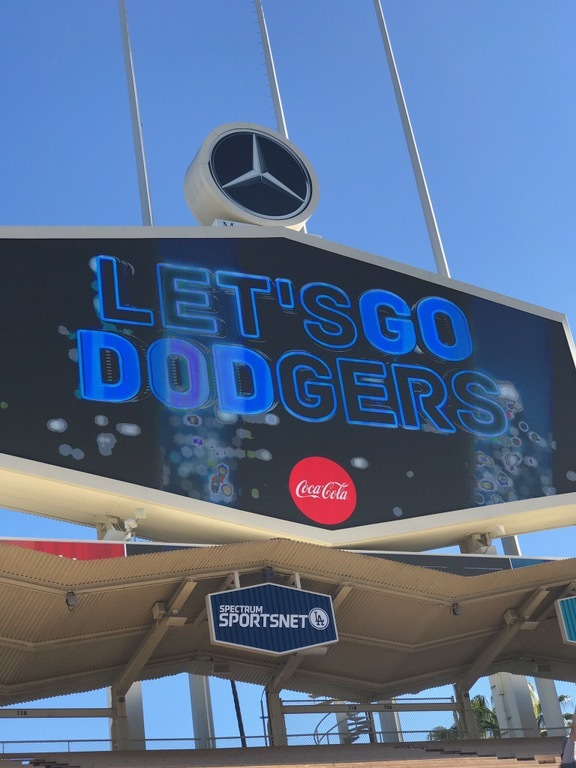 Wednesday is also the Dodgers Premium Batting Practice which features a chance to shag balls, swing the bat from home plate and also free food and drink. They usually have Dodger dogs and snacks. It’s a fun experience although there aren’t any Dodgers there. Usually it includes professional pics and a tour. I’ll be sure to give everyone an inside scoop about the event with plenty of pictures. Sad news…Garry Marshall has passed away from complications of pneumonia. He was a frequent visitor to Dodger Stadium. Another motion picture icon gone. Am I on the wrong medium?